LONDON, Sporting Alert – Arsenal face Nottingham Forest in the third round of the English League Cup on Tuesday and here is how you can listen to live streaming coverage of the match. Kickoff time for the encounter at The City Ground is 2:45 PM ET (7:45 PM local time), but build audio coverage will be available from 7:15 PM exclusively on Arsenal Player. Follow the scores on www.livescore.com. There will also be live text commentary from the match, with Arsenal.com providing comments from Twitter and insight from the club’s commentary team. Arsenal warmed up for this EFL Cup tie with a comfortable victory over Hull City in the Premier League and manager Arsene Wenger, who is expected to make changes from that side revealed that he has no fresh injuries. “Everyone came out of the Hull game well,” the Frenchman said on www.arsenal.com. He, however, added that striker Olivier Giroud is still not available, but hopes to have him for the English Premier League battle with Chelsea. He noted that defender Carl Jenkinson and midfielder Aaron Ramsey remain on the sidelines, but said centre-back Gabriel has a chance to play. Brazilian Gabriel has recovered from an ankle injury that has kept him sideline this season, and he is now in contention to make his first appearance of the campaign. 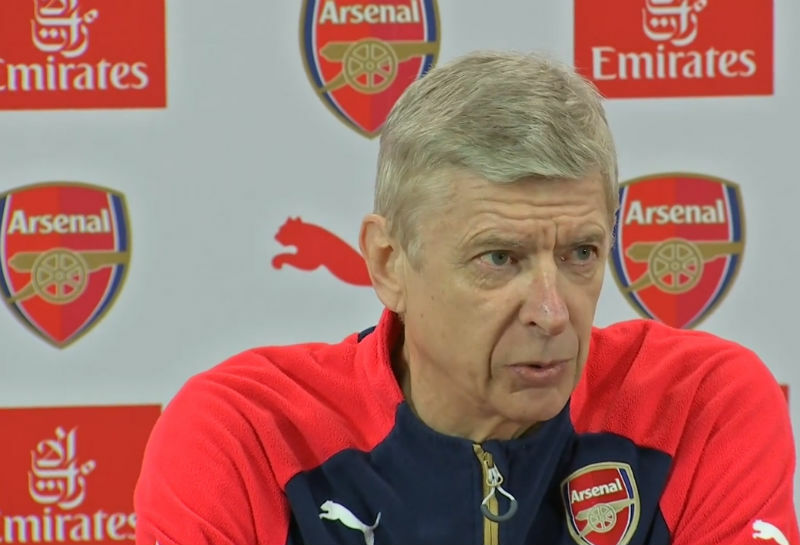 “He has a chance to play against Forest,” Wenger said about Gabriel. The likes of Chuba Akpom, Rob Holding, Kieran Gibbs, David Ospina, Granit Xhaka and Lucas Perez could all be involved. “We will have a team with experience but I will also give a chance to two or three young players. But overall it is basically a first-team squad,” Wenger said on www.arsenal.com. “The confidence level has been rebuilt and now we have to show that we can maintain our focus and the consistency in our concentration. That is what is at stake. “This is an interesting cup competition. It gives games to all the members of the squad and when it gets to the later stages it gets passionate, so you have to survive in the first rounds. Arsenal (squad): Cech, Ospina, Macey, Debuchy, Bellerin, Holding, Koscielny, Mustafi, Gibbs, Monreal, Coquelin, Elneny, Xhaka, Cazorla, Oxlade-Chamberlain, Ozil, Reine-Adelaide, Sanchez, Walcott, Iwobi, Lucas, Sanogo, Akpom, Giroud.